In this era of law and order it has become increasingly important for the common man to be updated & informed about the legal system. 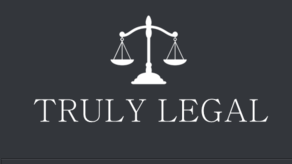 Taking this into account, TrulyLegal.in has launched an Indian legal blog . This is a platform publishing legal news, updates, basic legal procedures & other faq’s about law in the simplest language possible. Why should you follow this legal blog ? Everything from news to articles are published in the simplest language possible, the aim of this blog is to connect with readers that do not know much about the legal system in india. This is a responsive website so you can use it with your mobiles, tablets or any other handheld device. They publish articles about basic procedures & know how’s of law that may help a common man in his day to day life. This blog is updated regularly with interesting & useful articles , news & updates. They also update subscribers about new articles through facebook , twitter & google+ so you can stay connected easily. This platform is maintained by a group of experienced lawyers so you can rely on the content written by this indian legal blog. Whats more ? Get free Legal advice online for your questions ! This platform has a wonderful feature where you can get free legal help for any query you have . You simply have to visit the website, submit your question & they will be answering it within 48 hours. The answers are given by experts so you need not worry about the authenticity. This is a great way to start getting answers about your query , as we all the it is extremely expensive to get lawyers help offline ! How will this platform help the common man ? Law is one thing that scares a lot of people & confuses the others with its complexity . Most of us have already been victim to problems that could have been solved much easily with the help of the Judicial system . Consumer problems are the most common of these , but 80% of the indian population do not take legal action against the companies they have been cheated by. This is only due to the lack of knowledge and confidence. But, with platforms like TrulyLegal.in , they can easily get a helping hand in such matters. Even a small professional advice can prove to be a boon for them & help them get justice. Additonaly , the legal blog publishes articles about basic legal procedures that can not only help but lay out the whole action plan for Indians. When it comes to music, there are various music brands on the market all music enthusiasts can enjoy such as Roland for example. There are many other brands as well and before you make up your mind which one is preferred by you you might want to read some info about them on the Internet. There’s lots to read about here and I can guarantee that you are going to find plenty of info on the aspects of music you even had no idea about. A smooth move to a new place requires a lot of careful packing, a great deal of planning and selection of the right moving company for handling your belongings. There are a horde of moving companies to be found today with each trying to best the other in terms of services. It is very tempting for you to make your decision based on price because you don’t want to stress your budget even further. However, this is a mistake as there are a variety of other factors that also need to be taken into consideration. You want to ensure your selection is reputed and reliable and can offer you the best value for money. This is not the right area for you to cut corners. You need to ensure that the moving company you are considering has been properly licensed and also offer insurance. They should provide this information on their website so you can easily verify it. Never do business with a company that doesn’t have the license and insurance because they may just scam you. Do a background check on the company you are thinking of choosing so you can enjoy peace of mind. You can learn a lot about a moving company by knowing what it has done in the past. This you can determine through reviews left by previous customers. There are numerous review sites online where you can find comments about the services of the company and their reputation. Reliable firms such as http://hollowayremovals.com.au have a positive reputation as they satisfy their clients with their impeccable and timely services. Another way to determine if the moving company can be trusted is their track record. If they have a great track record over several years, it is an indication that they know exactly what they are doing and will handle your belongings with care. You can also consult the company and ask about specialty experience like local moving, moving across state lines or even in different countries. While the number of years in business is not a guarantee, it is an assurance that the moving company has had experience and risks can be minimized. This typically goes hand-in-hand with the testimonials and reviews as customers also note the amount that was charged from them for the services provided. A decision should not be made on price alone, but moving companies with a good reputation will often charge affordable rates. Don’t opt for new firms charging low prices because they may make compromises in quality of service and may not be reliable. It is better to pay a little extra and be assured of the services you will receive rather than lose more in trying to save money. As long as you make the right choice, the moving company will help to make the move as smooth and efficient for you as possible. Most people outside of the healthcare and medical industries know little about the human body and how its systems work. Their knowledge of human anatomy may be relegated to what they learned in their high school science or biology classes. Even so, these same individuals may be responsible for rendering verdicts in legal cases that rely heavily on medical definitions and terminology. You can help jury members understand more about the human body and its numerous systems by using visual aids that you can buy online from companies like Medivisuals.com and other websites. A visual aid must be realistic in order for it to be useful in the courtroom. It must look as close to an actual human body as possible in order for people to understand what you are talking about and the terminology that is center to the case. When you order one of these aids online, you can make sure that it is realistic and three-dimensional enough for you to use in the courtroom. You can click on the link that describes what kinds of representations are available for legal use. You can also make sure that it has the right systems and organs that are central to making your case in court. If you are not a medical insider, but rather an attorney with a working knowledge of how the body operates, you still may need to rely on someone who does know how the visual aid should be set up in court. When you order online, you can take advantage of this service to ensure that the visual aid is set up correctly in the courtroom and that it is easily accessible to you. The company can even help you draft opening and closing statements that you can use to educate a jury. These statements may include other visuals like slideshow presentations and graphics that help you drive home your point. You can get access to these services and more when you click on the legal resources available on the website. The human body is complex and difficult to understand if you are on the outside of the medical field. Even so, people who sit on juries must understand to some degree how the body works. You can educate them and also get guidance yourself by ordering visual cues online. Every year, more than half a million people apply for family-based green cards in the United States. With help from the State Department and new family-based immigration laws, foreign citizens can apply for permanent residency in America. Current family immigration laws make applying for a family-based green card easier. U.S. citizens can now sponsor relatives living in other countries to help them gain a green card. With family sponsorship, foreign citizens can apply for an immigrant visa and permanent residency status based on preference categories. * Immediate Relatives – Immediate relatives include spouses, parents, and unmarried children under the age of 21. Immediate relatives are not subject to annual immigration quota limits. Adopted children are also considered immediate relatives not subject to immigration quota limits. U.S. citizens who adopt children from foreign countries are allowed to sponsor these adopted children for family-based green cards, but laws and restrictions of the foreign country will apply. * Family Preference Relatives – Family preference relatives include sisters and brothers, married sons and daughters, and unmarried sons and daughters over the age of 21. All family preference relatives are subject to annual immigration quotas. U.S. immigration laws limit the number of immigrant visas available each year by country of origin. If a country has a large number of visa applications, there may be a longer wait for an immigrant visa. For sponsored “immediate relatives” of U.S. citizens, there is no required waiting time for an immigration visa number. It’s available immediately, and it is not subject to annual immigration quota limits. Sponsored “family preference relatives” are required to wait for an immigrant visa number to become available after it’s approved. Since there are specific limits on immigrant visa quotas each year, waiting times can vary after the immigration visa petition is approved. In some cases, it can take several years to get an immigrant visa petition approved and receive an immigrant visa number from the U.S. State Department. For more information on immigration visas and quotas, click here.